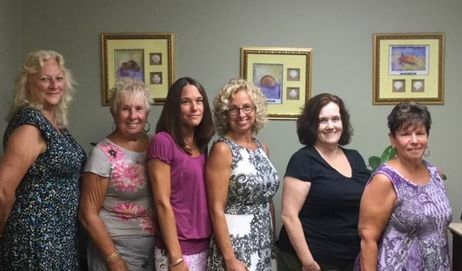 Meet Our Staff - Ginger Lanigan and Associates, Inc. I have an extensive background in all areas of the human service field. I have set up programs for the elderly, did outreach for the fuel assistance program, set up food pantries in surrounding areas and counseled and advocated for battered women. For the past 28 years, I have advocated for the physically and mentally disabled within the Social Security system. In February, 1995, I started Ginger Lanigan & Associates. On staff, I have 4 outstanding case managers, all of whom have helped GLA boast a better than average approval rate. One of our unique characteristics, started at inception and continues to this day, is our hand holding you, the claimant, throughout the entire disability process. I tell the clients..." We are attached at the hip". I am a member of both NOSSCR and NADR, attending various educational and informative conferences with regards to the latest information about Social Security Disability. GLA and I have been recognized by Massachusetts Rehabilitation Commission for our accomplishments and supportive collaboration with the disabled population. I am the newest member of the Ginger Lanigan & Associates "team", and serve as the Intake Coordinator. I have been with the agency since 2016, and my primary goal is to keep the office running smoothly. I will most likely take your call and ask for information about your case. Then, I will schedule an appointment and assign a Case Manager to you. Previously, for 17 years, I worked for a manufacturing company, wearing hats in all of the departments. I bring my experience in both computer skills as well as organizational skills to GLA. I have been with GLA since November 1995. I had just graduated college, majoring in sociology with a minor in psychology, and was looking for the perfect job. Helping disabled people obtain monetary and medical benefits through the Social Security system fit that vision. Previously, I was a residential counselor for the mentally disabled. In that capacity, I taught life skills, administered medication, brought my clients out into their community and assisted them with their daily activities. This position certainly prepared me for my case manager position with Ginger Lanigan & Associates. Through the years, with my co-workers, I have attended numerous conferences and seminars, traveling all over the country, and listening to, and learning from, other advocates in the Social Security Representative Field. I joined Ginger Lanigan & Associates in May, 2002. I was actually hired part time to help administer a Mass Health program with the area hospitals. The advocacy needed to obtain insurance through this program was not only intense, but followed the same guidelines as the Social Security Disability and Supplemental Security Income program that my co-workers were doing. I soon became full time, running both programs. When I first joined GLA, I brought to the table 8 years of Human service background, working with the Town of Bridgewater as a volunteer coordinator, and an activities director for a nursing home. ! know what it takes to stand behind a disabled person and make him or her feel good about themselves. I, also, am lucky enough to be able to attend the various conferences and seminars that teach us new and innovative ways to help produce favorable decisions, as well as learn about changes within the Social Security Administration. I began my career at GLA, as a Social Security Disability advocate in 1995. Giving personal attention to my clients gives me a thorough understanding of their individual situation, allows for referrals to other human service agencies for aid, while assisting them through the Social Security Disability process. For the past 13 years, I have attended at least one, if not two national conferences a year, keeping me current with rules and regulation changes within the Social Security Administration, as well as criteria updates on various impairments. I have attended and continue to attend numerous support groups, gaining a better understanding of your needs and concerns. Hundreds of clients later, I have gained a great sense of personal satisfaction knowing that I have had the opportunity to help you, the disabled, through difficult times. I find my career to be a very rewarding one. Previously, for 22 years, I worked at the Social Security District office, as a claims representative. For 16 years, I knew Ginger and most of her staff, and saw how they dealt with and reacted to the various situations at the District office. I would joke with her, and remind her that I wanted to work for her when I retired. Here I am. I started at GLA in February, 2006. I think that my easygoing personality makes the client comfortable, and the disability process effortless. I routinely speak with my clients, making sure that they are still on their prescribed medications, and staying in treatment for the disabilities they have alleged. I utilize my knowledge and understanding of the Social Security System to help both clients as well as staff. I look forward to attending annual seminars and conferences to continually learn about the latest information with regards to disabilities as well as rules and regulation changes within the Social Security Administration.